2014 saw a reunion that Fleetwood Mac fans were hoping for more than a decade would happen -- Christine McVie officially rejoined the band's lineup. The singer/keyboardist had gone her own way in 1998, retiring from the group to live quietly in the English countryside. However, Christine apparently had gotten bored with her life away from the band. Fleetwood Mac officially announced Christine's return to the fold in January, but the reunion had been brewing for quite a few months. In September of 2013, she made guest appearances at a couple of the group's U.K. concerts, and then revealed in an interview in November that she missed her band mates and would consider rejoining them "if they asked." They asked. Not long after the news broke that Christine was back in Fleetwood Mac, the band not only announced dates for a new North American tour with the reunited lineup, but revealed they also were recording new music. 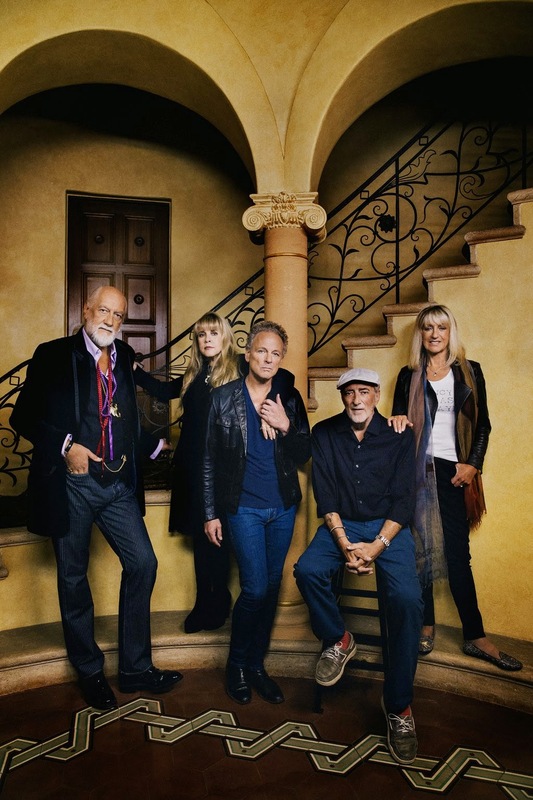 The trek kicked off on September 30 in Minneapolis, and by all reports audiences have been overjoyed to get to hear McVie singing with the group again. Her band mates also are thrilled to have Christine back. As drummer Mick Fleetwood recently told ABC News Radio, "It's outrageously great, balanced, musically really gratifying playing all Christine's lovely songs again. And it's been nothing but really healthy for everybody." The band wound down its 2014 itinerary with a December 20 show in Tampa, Florida, but they won't be idle for long. Fleetwood Mac begins another North American leg on January 16 in St. Paul, Minnesota, that's mapped out until an April 11 concert in Las Vegas. The group also has a tour of the U.K. and Ireland that's slated to run from late May to early July.